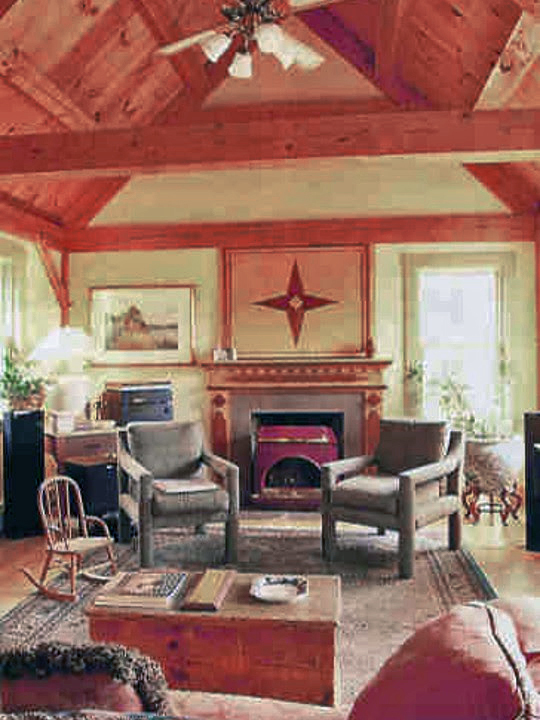 Ten years ago, the Puddicombes decided that their days doing laps between Rhode Island and Stowe were over. Michael traded in his job as a professor of business at Boston University for one at Norwich University, and Barbara transitioned from her Rhode Island practice as an occupational therapist. “Our five-year plan to move to Vermont suddenly turned into a five-month plan,” says Barbara. Then came the big challenge: finding a house. One day, Michael called his wife with a strange announcement, “You’re not gonna be happy with this house.” He was only partly right. The 25-year old post-and-beam cape “didn’t have a lot of curbside appeal, but it was very functional,” says Barbara. But when she looked out from the back porch, she saw a view framed by the Worcester Range on one side and Camel’s Hump on the other. “This is it,” she declared. She points out her window to the multicolored waves rising up to meet the sky. “I felt that I was being cradled in these mountains.” Perched high on Stowe Hollow at the foot of the Worcester Range, the Puddicombes turned to Sisler Builders to help transform their 1970s-era house—and by extension, their lives. 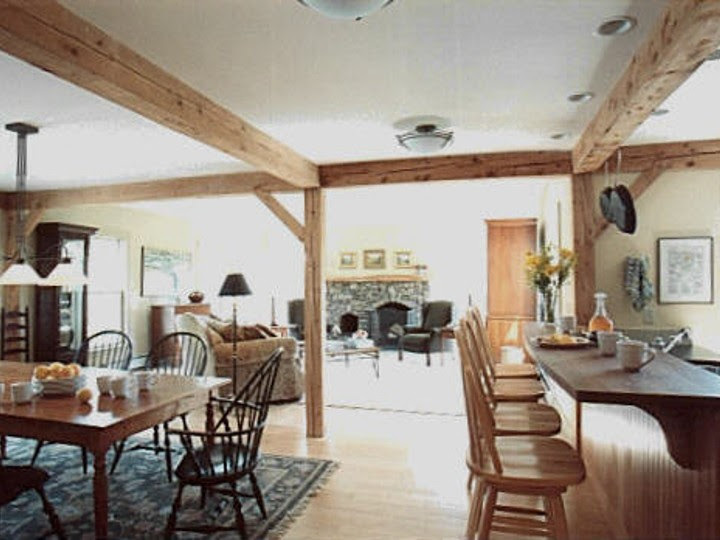 They wanted a contemporary but rustic Vermont home for their active family of five. Today, Gretchen, 18, is a high school senior, aspiring artist, and avid soccer player, and Sam, 13, is an eighth grader at Stowe Middle School, who loves backcountry skiing and cross-country running; their oldest son Matthew is now in engineering school in California. 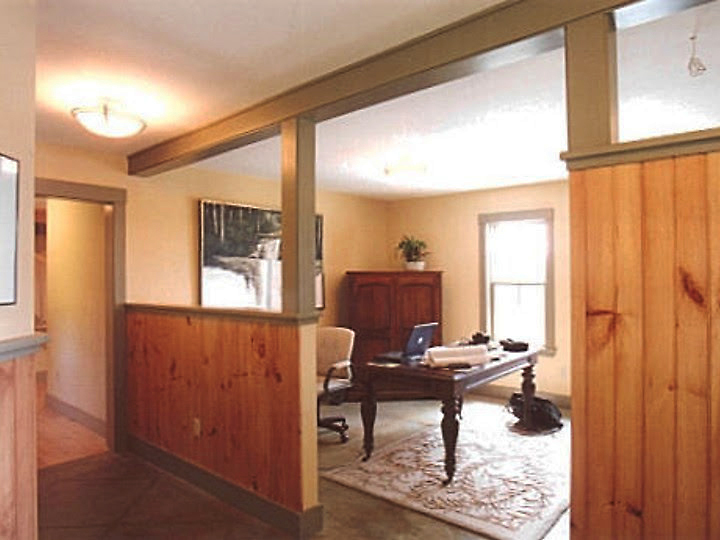 We entered the house through a spacious mud room that opens onto a fieldstone patio. Bike helmets hang from a pole and running shoes and hiking boots litter the floor. 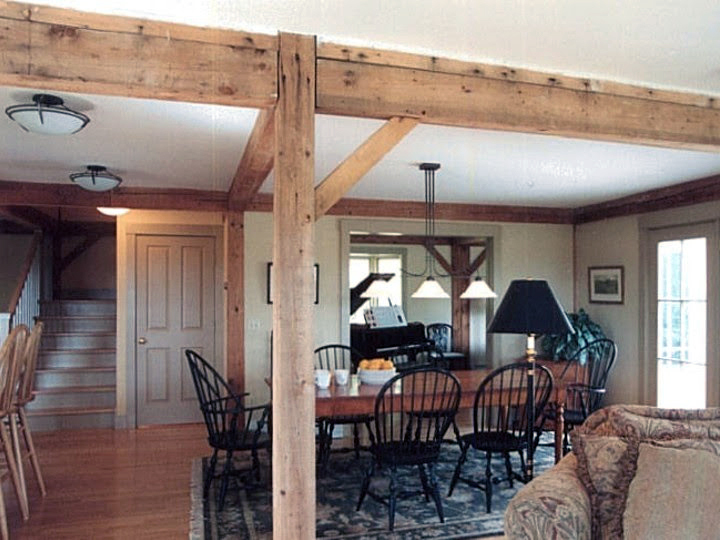 The cramped original post-and-beam frame has been seamlessly integrated into an airy family room and kitchen. Light pours in through large windows that wrap around two corners of the house. On this morning, Gretchen sits at the kitchen counter tapping on her laptop, while Sam bumps around the kitchen getting breakfast. Lots of glass, exposed wood beams, richly colored granite counters, and a ruggedly elegant stone fireplace create a warm, earthy space for the family to hang out. The Puddicombe home is an extension of a life that is intimately connected to the outdoors. That was the dream Barbara and Michael were chasing when they moved to Vermont. From the windows that face out onto rocky mountain ridges to the skis in the garage, the dream has become a reality. Barbara recently celebrated a milestone with some local flare. “I decided for my fiftieth birthday that I would do 50 things I had never done before. I started by skiing the Stowe Derby and I finished by running the Stowe 8 Miler.” Along the way she also made her first descent of some of Stowe’s classic tree skiing runs, had her first shot of tequila, and went cliff jumping. This function has been disabled for Sisler Builders Blog.